It is said that age is just a number – one’s perception of age may change with the perspective he or she has with regards to overall life experiences. A person may not be that young anymore considering his or her birth date (chronolgical age) , but may have such a positive outlook in life – that he or she can feel and look as young (biological age) as someone who has just started going to school. While it is important to keep a life outlook that stays as youthful as possible, it also helps to achieve and maintain a young appearance as well. Life Dental Implants in London offers you the information you will need to be able to get more youthful-looking smiles, so you can enjoy life’s simple pleasures in the best ways possible. smile – a toothless smile can make someone look a lot older than he or she actually is. Dental implants provide missing teeth solutions, providing teeth restorations that can bring back the youthful smiles to the faces of those who have previously experienced missing teeth problems. Cosmetic dentistry can also do wonders in creating younger-looking smiles, through procedures such as teeth whitening, veneers, dental crowns and bridges, orthodontics, or a smile makeover. 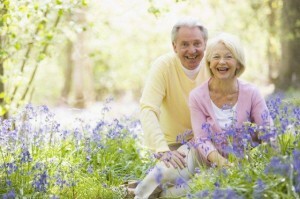 It is never too late to enjoy life with brighter, more youthful-looking smiles. Life Dental Implants London recognises the importance of a younger-looking smile, and what it can do to one’s overall life outlook. There is no better time than now to pursue the quest for brighter, more youthful smiles – and hopefully, this pursuit will also result to a more youthful feeling, both inside and out.